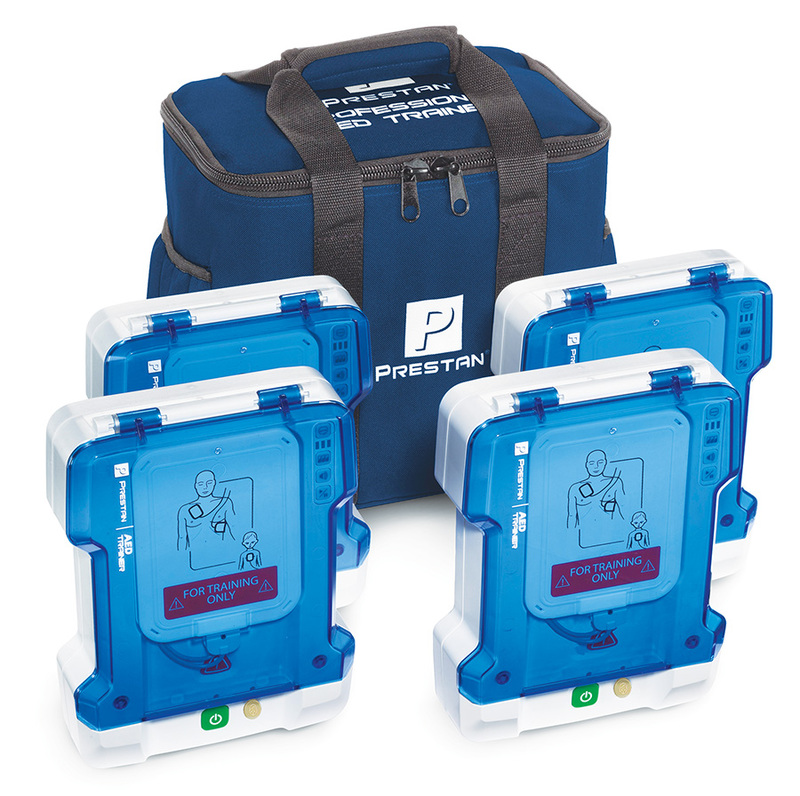 A convenient 4-pack of the universal AED trainer that gives students a highly realistic AED training experience, duplicating the size and weight of AEDs currently in use in the real world. Switch from adult to child modes at the touch of a button, and customize training classes with options for scenarios, volume control, metronome on or off, and a "give breaths" voice prompt that can be turned on or off. The replaceable scenario/language module makes it easy to upgrade anytime AED protocols are updated, so there's no need to send the unit out for reprogramming or to buy a brand-new unit. 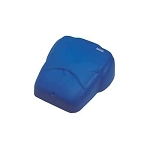 The unique pad system features dual adult/child graphics and has an embedded switch that senses when the pads are attached to a manikin. Also features five preprogrammed scenarios, clear voice prompts, and built-in English and Spanish options. 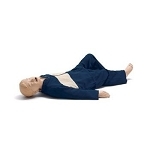 Compatible with any type of CPR manikin that is intended for AED training.